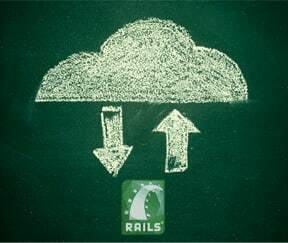 When we set to develop Cloudinary’s Rails integration Gem, it was obvious to us that we’ll base it on CarrierWave. Here’s why. Photos are a major part of your website. Your eCommerce solution will have multiple snapshots uploaded for each product. Your users might want to upload their photo to be used as their personal profile photo. What’s entailed when developing such a photo management pipeline, end-to-end? You’ll need an HTML file upload form. The server will need to manage the reception and processing of the uploaded image files. Uploaded images should be stored on a safe storage with access for multiple application servers. Model entities should keep references to uploaded images. Uploaded images will need to be resized and cropped into different dimensions matching the graphics design of your web site. The server will need to find and deliver the resized images to visitors of your site when displaying a page with the relevant model entity (e.g., display a thumbnail of the profile picture in a user profile page, etc.). Allow overriding uploaded images with new ones when needed. Cloudinary allows you to overcome this complexity in its entirety, but how does it work? Simple Model entity integration. Adding a single string ‘image’ attribute for referencing the uploaded image. "Magic" model methods for uploading and remotely fetching images. HTML file upload integration using a standard file tag and another hidden tag for maintaining the already uploaded "cached" version. Straight-forward interface for creating derived image versions with different dimensions and formats. Image processing tools are nicely hidden behind the scenes. Model methods for getting the public URLs of the images and their resized versions for HTML embedding. Many others - see CarrierWave documentation page. What we liked most is the fact the CarrierWave is very modular. You can easily switch your storage engine between a local file system, Cloud-based AWS S3, and more. You can switch the image processing module between RMagick, MiniMagick and other tools. You can also use local file system in your dev env and switch to S3 storage in the production system. The storage engine is Cloudinary. All images uploaded through CarrierWave model methods are directly uploaded and stored in the cloud. No need to install any image processing tools or Ruby GEMs. You can create the resized versions eagerly while uploading or lazily when users accesses the actual images. Save processing time and storage. Change your desired image versions at any time and Cloudinary will just create them on the fly, no need to batch update all your images when the graphics design of your site changes. All public image URLs returned by CarrierWave are Cloudinary URLs. This means they are automatically delivered through a global CDN with smart caching. Seamlessly enhancing the performance of your web application. We believe that for Ruby on Rails developers, the combination of Cloudinary with its CarrierWave-based gem, delivers a complete image management solution, with excellent model binding. What do you think about our solution? any suggestions or improvement ideas? UPDATE: We've published another post about additional advanced image transformations in the cloud with CarrierWave & Cloudinary.